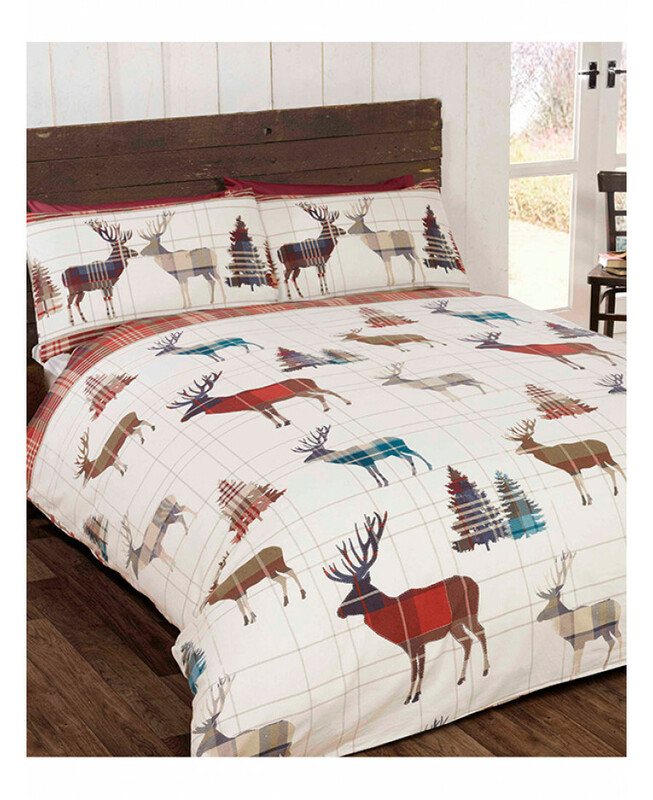 Add a touch of magic to any bedroom with this festive Woodland Stag double duvet cover set. 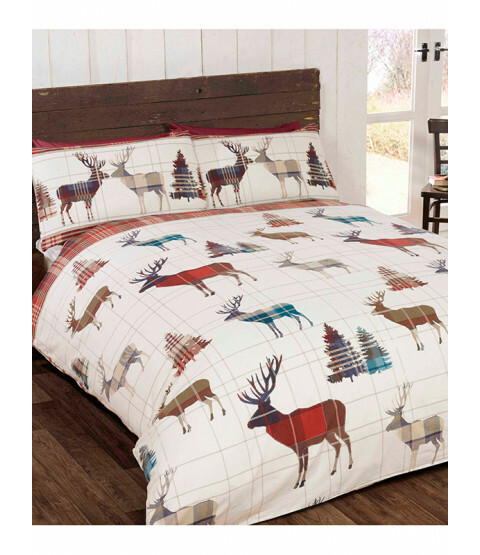 The stylish design features tartan patterned stags and pine trees in complimentary tones of red, blue and beige, on a cream and beige checked background with a red tartan trim. This bedding set is suitable for machine washing and tumble drying.